U.S. #1232 pictures the current state capitol in Charleston. The original capitol was in Wheeling. On October 24, 1861, the people of West Virginia voted to secede from the Confederate state of Virginia. 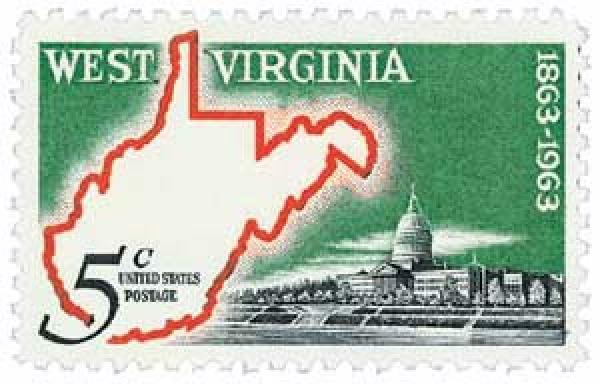 Although it was part of Virginia, the settlers in what is today West Virginia were separated from the rest of the colony by the Allegheny Mountains. The people in the West had a much different way of life than the wealthier people in the east. Also, the people in the West received less representation in the government. As early as 1776, this area had begun to demand its own government, but this effort stalled during the Revolutionary War. 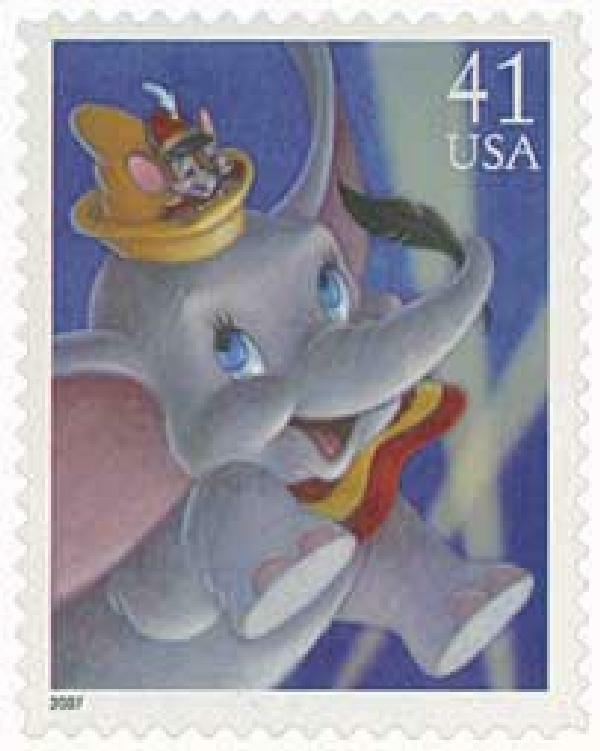 U.S. #4194 – Dumbo was Disney’s fourth animated feature film. On October 23, 1941, Walt Disney released Dumbo, based on the children’s book by Helen Aberson-Mayer. Helen Aberson-Mayer (1907-99), born in Syracuse, New York (less than an hour from Mystic’s home in Camden), attended Syracuse University and was one of the city’s first female radio hosts. Always a creative thinker, Helen enjoyed inventing animal characters and plots that reflected people she knew or situations she had been in. By the late 1930s, she created a number of detailed story book characters. Among these characters was a flying elephant named Dumbo. U.S. #1242 – As president, much of Houston’s energy was focused on finance and keeping peace with Native Americans and Mexico. 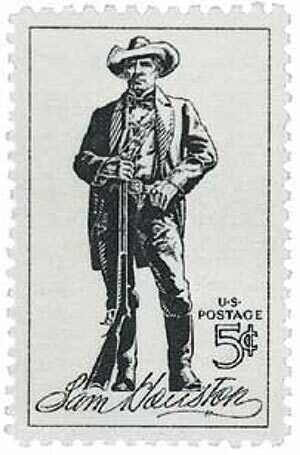 On October 22, 1836, Sam Houston became the first elected president of the Republic of Texas. Following the Louisiana Purchase, France had made claims from Texas all the way to the Rio Grande. A treaty in 1819 fixed the southern boundary of the Louisiana Territory at the Sabine and Red rivers. Mexico became independent of Spain in 1821, and Texas became part of the Empire (and later Republic) of Mexico. U.S. #3910a – An inside view of the museum’s ramp from the central rotunda. 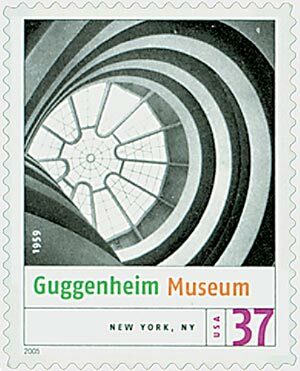 On October 21, 1959, one of the world’s most renowned museums, the Guggenheim, opened in New York City. Born into a wealthy mining family, Solomon R. Guggenheim founded the Yukon Gold Company in Alaska. He took an interest in art and started collecting it in the 1890s. Finding it to be his passion, Guggenheim retired from his business to dedicate his time to collecting art. He then met artist Hilla Rebay, who helped him to manage and expand his collection, including a trip to Wassily Kandinsky’s studio in Germany. In 1930, Guggenheim began inviting the public to his New York City apartment at the Plaza Hotel to view his impressive collection. 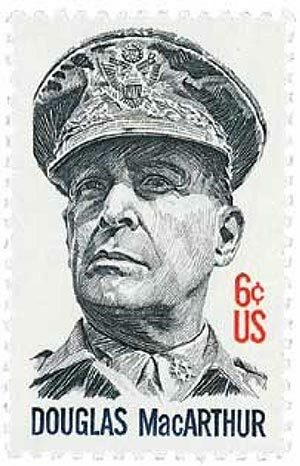 U.S. #1424 – MacArthur considered the Philippines his second home, having married his wife and raised his child there. On October 20, 1944, General Douglas MacArthur fulfilled his promise to return to the Philippines. In 1935, MacArthur was made military advisor to the Philippines, tasked with helping them create an independent army. (The Philippines had been an American colony since the Spanish-American War at the turn of the century). MacArthur established a home there with his family and retired two years later. In July 1941, as tensions were rising around the globe as World War II escalated, President Roosevelt federalized the Philippine army and recalled MacArthur to active duty as commander of U.S. Army Forces in the Far East. U.S. #1046 – While serving as chief justice, Jay went to Great Britain and negotiated the Jay Treaty, which settled many of the lingering post-war disputes. On October 19, 1789, John Jay was sworn in as America’s first Chief Justice of the Supreme Court. John Jay was one of America’s Founding Fathers, serving in the First and Second Continental Congress, drafting New York’s Constitution, and serving as New York’s Chief Justice of the Supreme Court of Judicature. He was also American Ambassador to Spain, Secretary of Foreign Affairs, and helped negotiate the Treaty of the Paris, in which Great Britain recognized America’s independence. 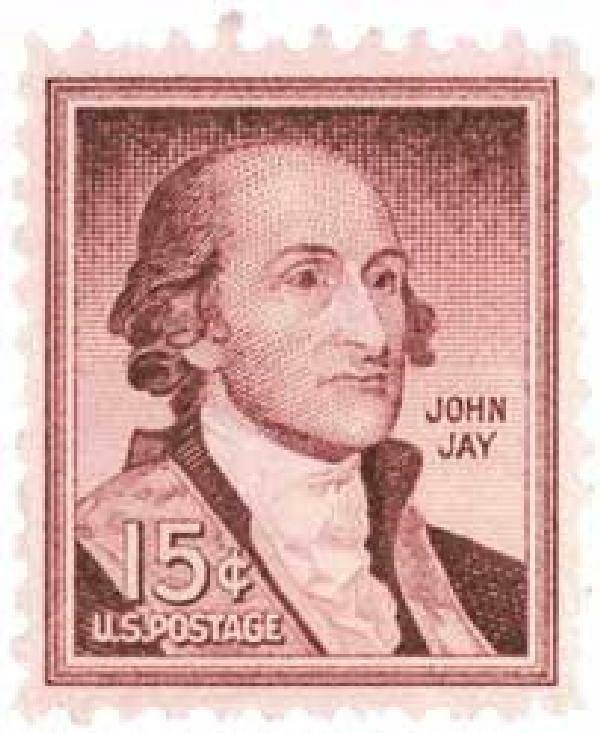 Supporting a strong centralized government, Jay helped write the Federalist Papers with Alexander Hamilton and James Madison, which promoted the ratification of the U.S. Constitution.